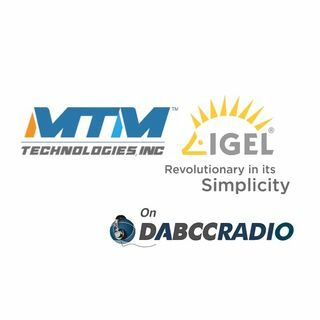 In episode 280, Douglas Brown interviews Bill Kleyman, Chief Technology Officer at MTM Technologies. Douglas and Bill have a very lively conversation about the current state of End-User Computing and the drive toward Digital Transformation. Bill does an amazing job sharing his views along with introducing us to the NEW MTM AnywhereApp. MTM’s Award Winning AnywhereApp is a Secure Workspace and Virtual Desktop environment for delivering Applications and Data Access. ... See More The solution bundles infrastructure, application and desktop image management, environment administration and remediation, monitoring and support for a monthly per user price. AnywhereApp allows any (authorized) end user to access their applications and data securely from any device, from anywhere on any infrastructure (public, private or Hybrid cloud). IGEL delivers powerful unified endpoint management (UEM) software that is revolutionary in its simplicity and purpose-built for the enterprise. The company’s world-leading products, including the IGEL Universal Management Suite™, IGEL OS™-powered thin and zero clients, and all-in-one thin client solutions, deliver a smart and secure endpoint management experience that shifts granular control of thin and zero client devices from the end user to IT. This enables enterprises to remotely control all thin client devices from a single dashboard interface. IGEL has offices worldwide and is represented by partners in over 50 countries. Bill is an enthusiastic technologist with experience in datacenter design, management, and deployment. His architecture work includes large virtualization and cloud deployments as well as business network design and implementation. Bill enjoys writing, blogging, and educating colleagues about technology. During his day job, Bill is chief technology officer at MTM Technologies, where he interacts with some of the world's largest and most interesting companies. Mr. Brown is also host of the #1 rated virtualization and cloud podcast show, DABCC Radio and DABCC TV.